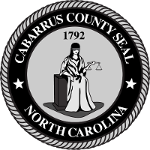 Cabarrus County Government 101 is a one-day session on one area of focus. This is a change from the previous 10-week course that touched briefly on many aspects of government. Because you won't need to commit to a series--residents can sign up for the sessions that fit their interest and schedule, individually. The County Government 101 Experience series is open to any Cabarrus County resident, ages 18 and older. If you participated in a previous County Government 101 course you may also participate in the newly revised course; it is not the same information. We encourage local businesses, community organizations, neighborhood leaders and residents with an interest in learning about the area of focus to register. It's a free and fun way to engage in the work of local government. Class size is limited to 20 participants. Registration is required and lunch is provided. In accordance with ADA regulations, anyone in need of an accommodation to participate in the meeting should notify the ADA Coordinator at 704-920-2100 at least 48 hours prior to the program. Want to learn more about the Cabarrus County Government 101 Experience series? Email outreach@cabarruscounty.us or call 704-920-2336.